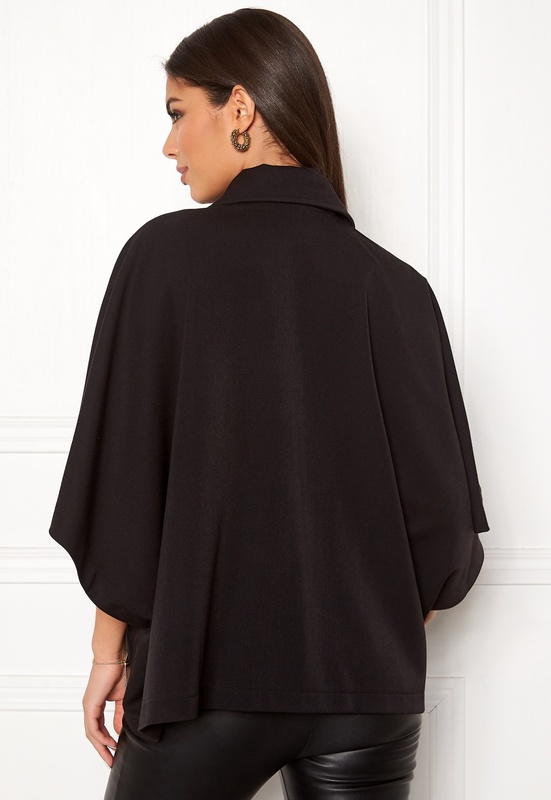 Stylish coat in cape style from IDA SJÖSTEDT. The coat is a relaxed fit with a tie waist. - Soft quality - Buttoned closure - Cape style - Tie waist (detachable) - Gold color buttons at front Back length from shoulder 63.5 cm in size 36. The model is 173 cm tall and wears a size 36. Machine wash at 30 degrees (delicates).